Above, from top: The view from Bills Way, toward Mt Aspiring Road. Beachside at Beacon Pt. 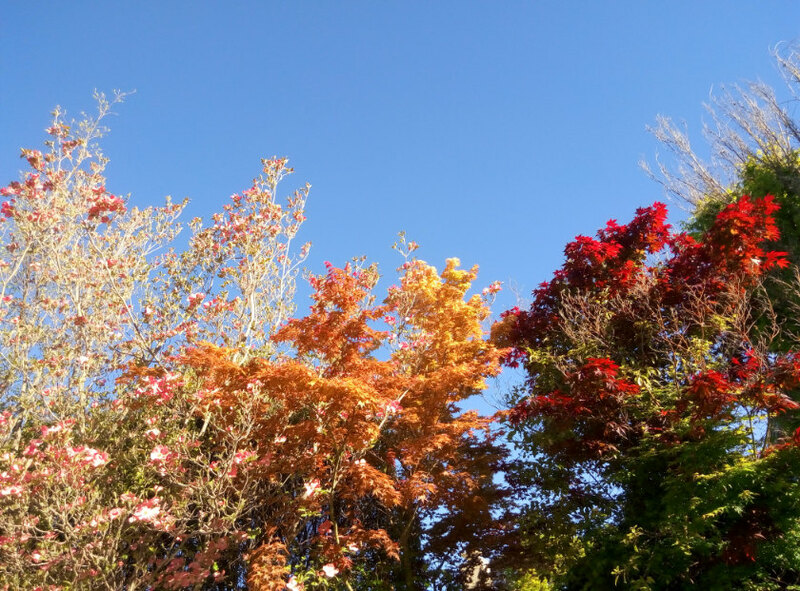 Colourful trees on Bills Way. 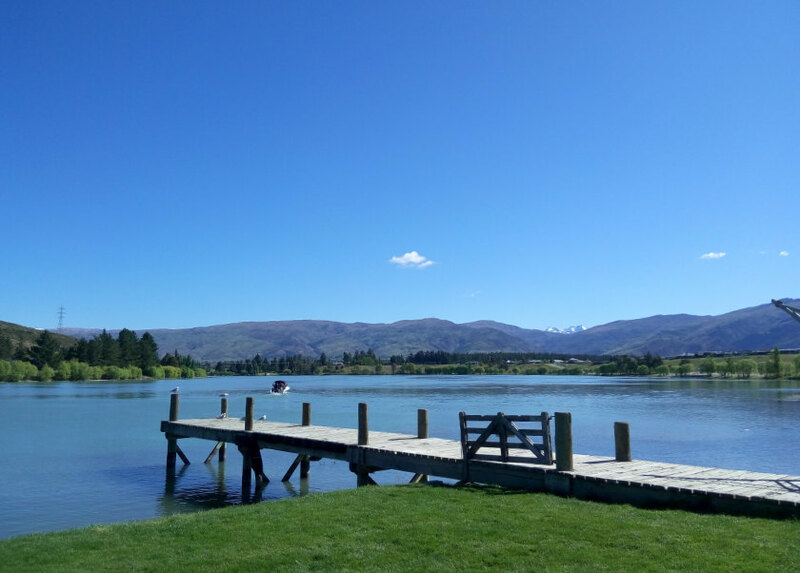 The holiday home at Bills Way proved to be the best way to enjoy Wanaka and the region. 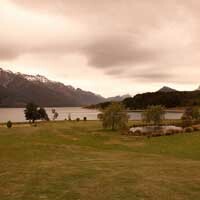 We had both been to Queenstown in earlier years, but Wanaka had seemed a little distant. Once daylight hit, we realized what we had been missing. Up the street were mountains, sheltering us from the worst weather systems, rendering the pessimistic nightly TV forecast wrong each time. 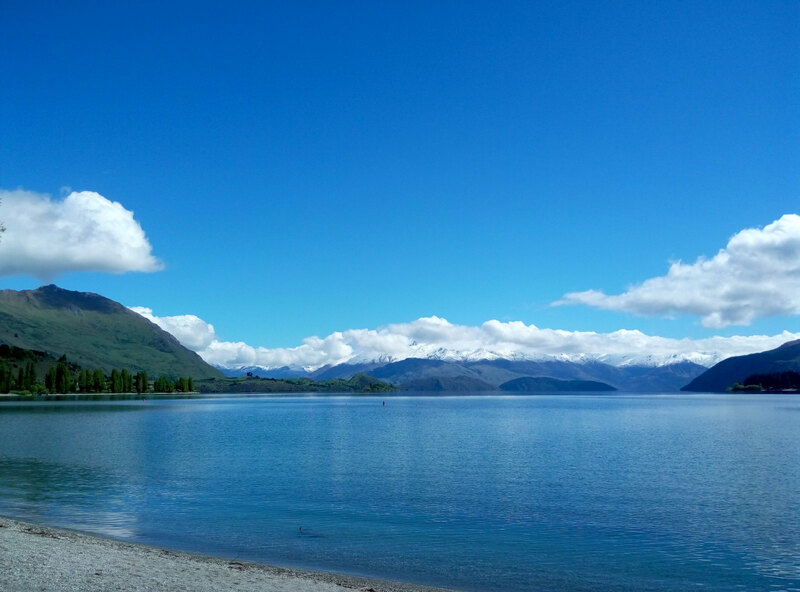 To our northeast was Lake Wanaka, one of the most peaceful and magnificent sights in this part of the country. 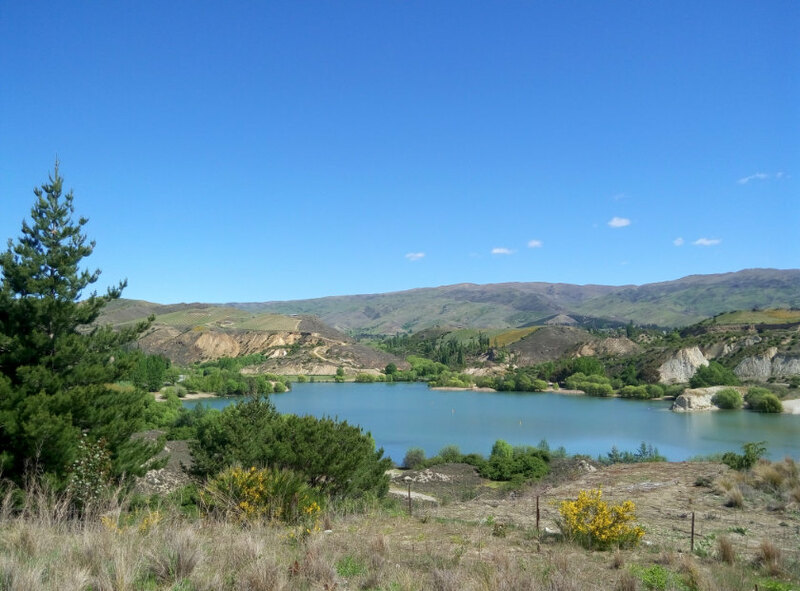 Despite the growing township next to it, and some campervans parked alongside, Lake Wanaka felt unspoilt, the air fresher than what we had experienced so far on our trip with perhaps the exception of Kaikoura. Looking out toward the lake, new lakeside properties were hidden sufficiently to keep the view uncluttered, while the true pièce de résistance of the view were the mountains, with Mt Aspiring faintly in the distance. It all spoke of possibilities and we had a knowledge that over the next week, we would never get bored. The local New World Supermarket bustled like urban ones, but it meant that there was a sense of the familiar as we stocked up on groceries for the week ahead. The town itself had visitors’ centres and plenty of shops selling woollen blankets and rugs catering to tourists, but we never felt that it was a “tourist town”. Those familiar with the area talk about how tourists had increased, and they remember a time pre-New World. Of course there were signs of tourism—SUVs and minivans littered car parks outside the tourist centre, while pick-up trucks were potentially owned by the few locals. Where were the little everyday cars? We were to find out. 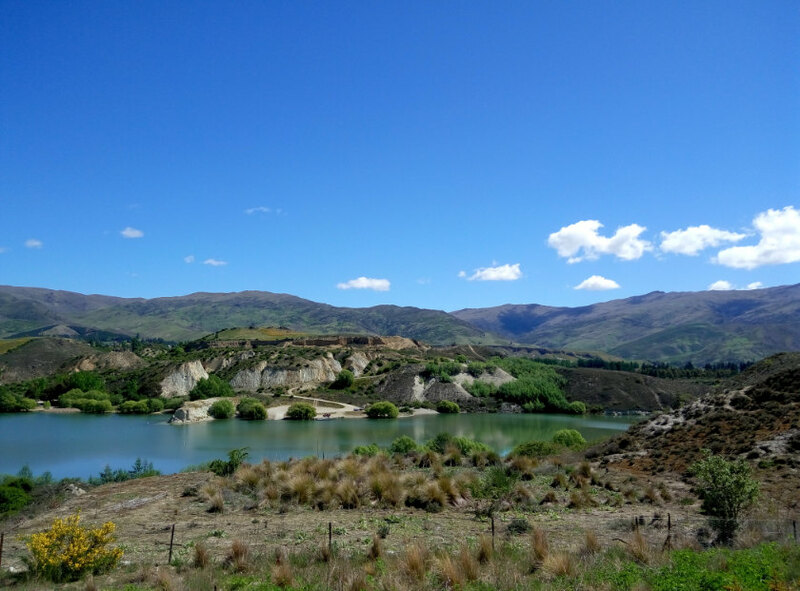 Our first day was spent driving around the town and becoming familiar with Wanaka. Beacon Pt proved to be a pretty area to gaze at beaches and the properties that were springing up from those who had discovered the town before us, and who could afford to build. Snow-peaked mountains reminded us this was no everyday lake. The flowers, particularly the spring blossoms that were prevalent when we were there, lent a beauty to Wanaka that we didn’t experience elsewhere in Aotearoa. To use the cliché, photographs do not do it justice. Physical beauty aside, there was a sense of calm, even in the westerly breeze coming from the mountains. New Zealand might be a place where most people appreciate a more humane pace of life, but it’s not divorced from the pressures of the outside world. But Wanaka was more distant again. There weren’t many wifi signals, and certainly none where we stayed. You looked within and to each other: what a great place to spend time with someone you love, free from distractions of the modern world—yet knowing that the bare minimum, Freeview TV and a retail centre, were there when you wanted it. Wanaka serves as an excellent home base for walks. Mt Aspiring Road was just behind us, and driving along we could head to Diamond Lake and Rocky Mountain easily. These are short walks which we spotted signs for, and we resolved to try one while we were here. We saw deer and twin waterfalls as water melted from the peaks above, but Mt Aspiring itself was still some distance away. It would have to wait for another day. Queenstown beckoned for day three, and with a sunny day, it looked like a pleasant drive to the resort town. We also had some admin to do, so we took the opportunity to visit the banks and post office, and chat to a friend who had moved there. 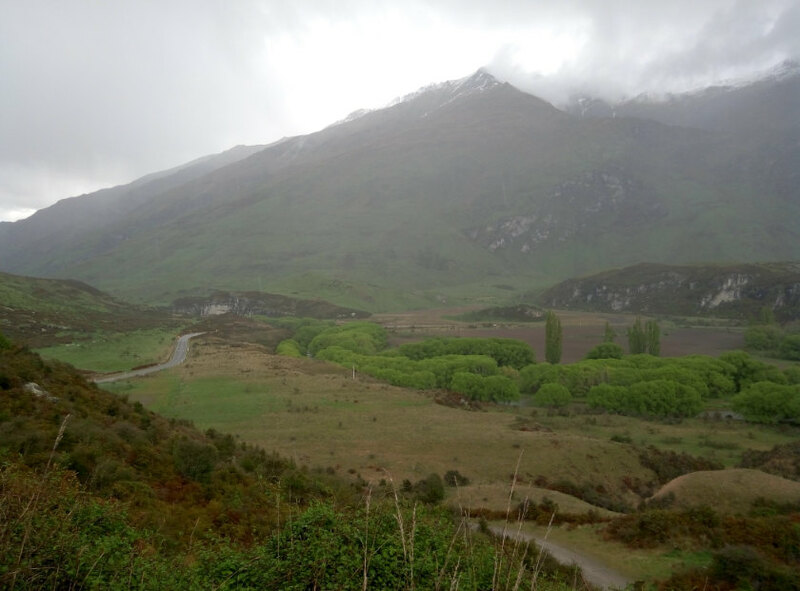 There are two ways to get to Queenstown: the Crown Range road, via Cardona, is the shorter of the two routes at 116 km; or via State Highway 6, at 160 km. 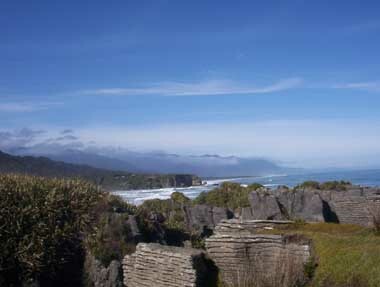 The time difference between the two is a mere 20 minutes according to Google Maps, but the New Zealand tourism site, newzealand.com, disagrees, and says travel time on the shorter route is greater. 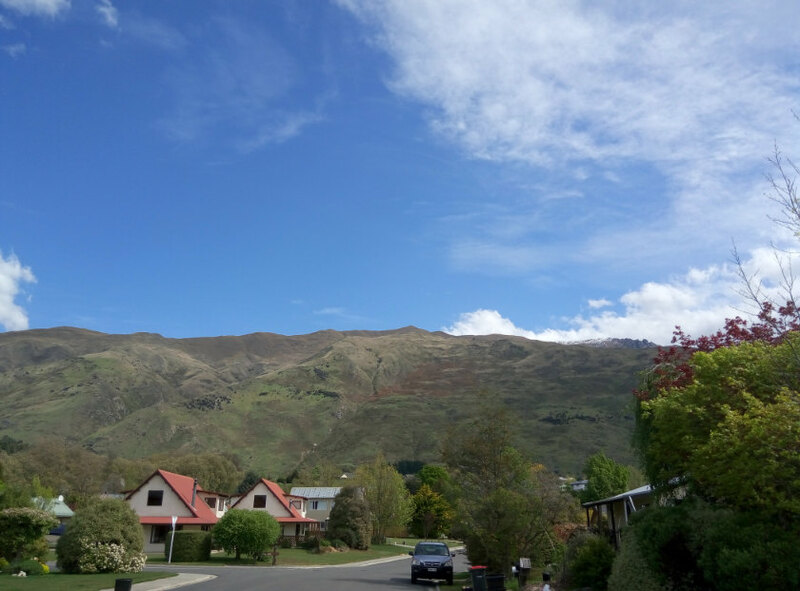 The former begins pleasantly enough, going via the historical town of Cardrona, and by the “bra fence”, which is exactly what it’s named for: a fence with brassières, which probably started as a gag in the late 1990s with just four of them. The fence now has thousands, as well as a collection box for a breast cancer charity. The iconic Cardrona Hotel, which dates from 1863, stands out with a 1928 Chrysler parked outside. Above, from top, left to right: The Crown Range Road looks fine in this photo—wait till you turn that next corner. 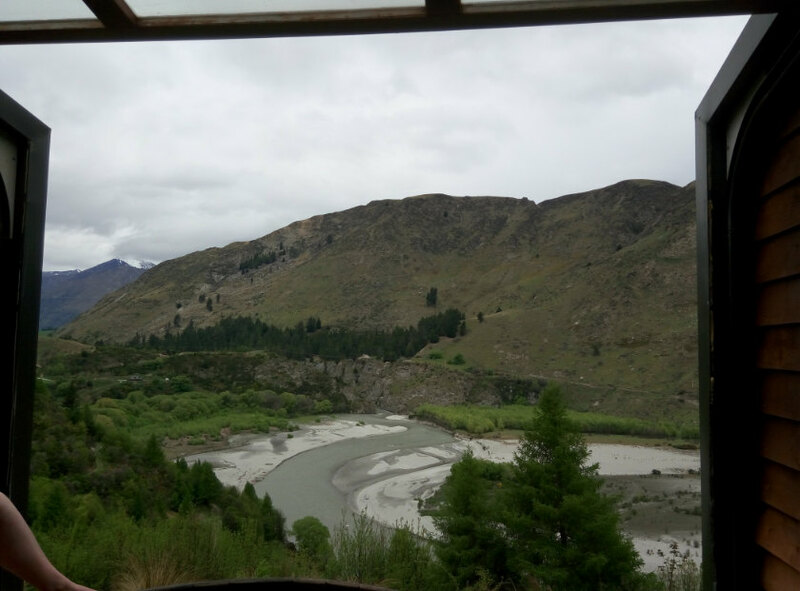 The Shotover River, from the Onsen Hot Pools. A drizzly day meant the Diamond Lake walk didn’t net the best views. 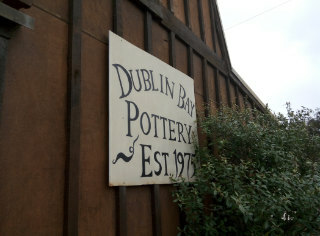 Dublin Bay has a pottery and Jill’s Wools at the same location. Jill Taylor begins on a hand-knitted woollen blanket, and forecasts that it could cost NZ$1,000 once done. This isn’t the easiest of roads to navigate: it is narrow in many parts, with some of the locals who are more familiar with it wanting to overtake. For the most part, local drivers are tolerant of tourists and don’t tailgate, but occasionally one spoils the drive with aggressive behaviour. 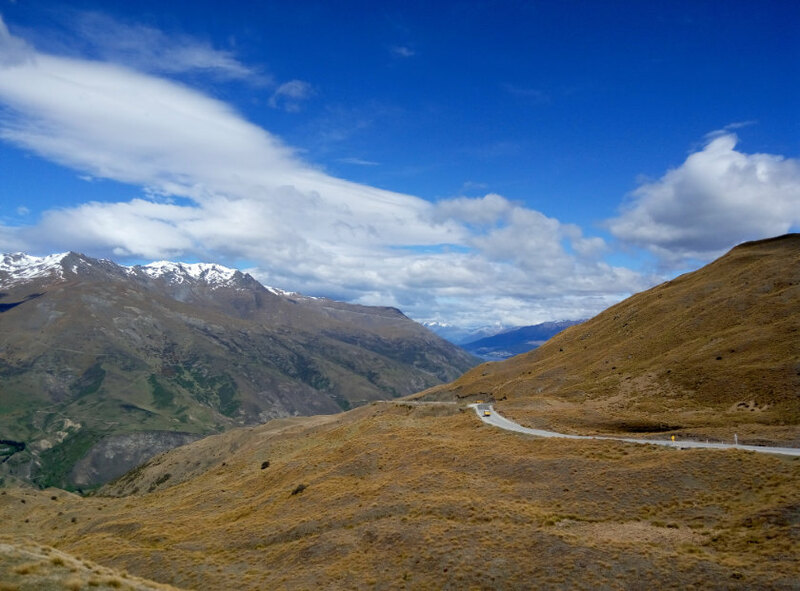 The Crown Range Road is the highest main road in the country (1,121 m) and the top presents stunning views of Frankton, Queenstown and Lake Wakatipu in the distance. However, the descent is challenging: a single barrier is all that lies between you and a severe drop, and the gradient is steeper than what I had found in the Swiss Alps. I had to drop down a gear (thank goodness for manual transmissions) and go against my natural instincts to plan ahead—defensive drivers are taught to look further for hazards, but I had to concentrate on the metres ahead. With no vehicles in front of me, and not much room to pull over, this road takes some mettle, and other than for the view at the top, it isn’t one we would recommend. Newzealand.com recommends one brings chains between May and September if you plan to traverse it, and calls it ‘much more challenging’ than the alternative. It was a relief to reach the bottom and to continue on to Arrowtown briefly—we stopped at the Golf Club—before lunching at the London (36 Shotover Street) with a friend. The only concession to Britishness, we thought, was the person working the counter. It offers a gluten-free menu, and unlike some other places in Queenstown, it wasn’t overrun with tourists. Its underground location probably contributes to that, but service is excellent, as is the food. An error led to them not charging for one item (the pizza was delivered to the wrong table). Our friend noted that the town of 14,000—just under double the size of Wanaka, population-wise—had become very built up since she moved there, and we couldn’t disagree: parking in the town centre was tough to find and I had to move the car during lunch; and many of the shops had a sanitized sheen to them, as though tradition had departed in favour of package holidays. Tourists outnumbered locals—nothing new there, we had noted the same when Lucire visited in 2005—but it signalled more than ever that it is a party town, everything geared toward the tourist with dollars to spend. If you wanted a place to get away from it all, you wouldn’t want the bustle of Queenstown. The staffer at the bank seemed relieved that a Kiwi with a local account had come in and didn’t require the services of its bureau de change. Suitably soaked and relaxed, the walk back to the car park seemed like a chore, and the drive back seemed gruelling. However, after a quick snack, my energy returned, and going up the Crown Range Road from Queenstown, with the car on the left, and therefore on the mountain side, was far easier. There was only one tailgater, which I let through at the first safe spot after the summit. We were, however, glad that the Crown Ranges separated Queenstown from Wanaka. Selfishly and ironically, we liked Wanaka without mass tourism. A trickle is tolerable; Queenstown had had a continuous stampede. The heavens had opened, hence day four was a somewhat gloomy day. It also happened to be the day we decided we would take Mt Aspiring Road and check out some of the sights properly. Diamond Lake begins about 12 km outside Wanaka and is a quick walk if you choose to do a lower-level circuit—we didn’t have time to do the longer one, which is 8 km and takes three to four hours. However, with the weather having come in, we didn’t get as remarkable a view as we had hoped, but the bird and plant life are lush, and you feel you are truly among nature. Being spring when we visited, there were plenty of newborn lambs, including one that had come down toward Mt Aspiring Road, which we decided to rescue and take back to its family. While we never got to actually catch the lamb, our intervention did compel it to climb back up the hill, rather than be stranded, and see its family again. This road isn’t as tricky as the Crown Range one, but it finally explained why a small French-branded hatchback is not the normal mode of transportation here. Mt Aspiring might be 64 km away on the map, but not far from where we spotted the twin waterfalls, the road turned to gravel. If you weren’t in an SUV or a proper four-by-four, or a truck, then there was little point going on, especially if you like your car and want to preserve its paintwork. Given the weather wasn’t great, we looked for somewhere else to go. Fate smiled on us as we went the opposite way, to Dublin Bay. The Dublin Bay Pottery (established 1975, proclaims the sign) is also home to Jill’s Wools, and it was Jill Taylor herself who greeted us at this splendid shop and workroom (190 Dublin Bay Road, Wanaka). You can’t miss it: look for the ‘Pottery’ sign as you drive State Highway 6 between Wanaka and Lake Hawea. Jill showed us around the shop, where the items had been made by herself, as the spinner and knitter, and Joy, the potter. They also stock yarns and patterns. Jill’s own background is in sheep farming, so she knew her wool, and we spied pure wool socks that she had made. 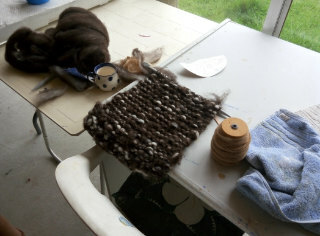 In her workroom, she had begun hand-knitting a blanket, an item which, when finished, would likely go for NZ$1,000. Lake Hawea, the next stop along State Highway 6, is not scenic in poor weather. Having discovered that, we turned back to Wanaka for the night. We arranged to meet friends at Carrick Winery (Cairnmuir Road, Bannockburn) on day five, when the weather system had passed. We had experienced the one drizzly day on our trip, and the sun beat down on us as though it was a cool summer’s day. 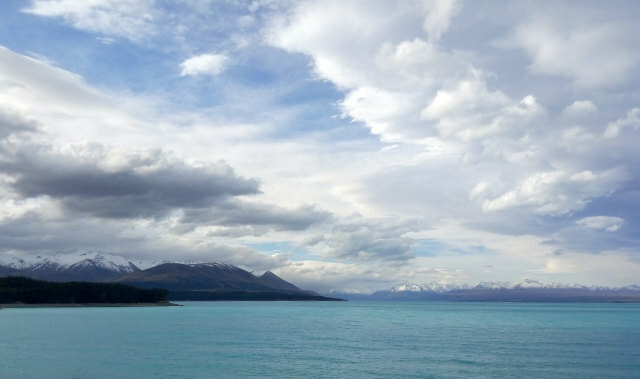 Lake Wanaka never ceased to capture us, and we had to stop to contemplate it again. And this time, to head to the winery in Bannockburn, we took State Highway 6. Not only is it a better route, it is far safer. Mt Pisa stayed on our right as we headed south, with Lake Dunstan to our left. This was better than the high-altitude views of the Crown Range Road, and we arrived at Bannockburn relaxed and inspired by the scenery. Lunch at the winery was a true feast. Done to a world-class standard, with service to match, we enjoyed duck breast, beef fillet and, perhaps ironically after the rescue attempt the day before, Otago lamb rack, all accompanied by the winery’s own product. The winery itself is a wonderful location for a walk through the vines and seeing both Mt Pisa and the Kawarau River. The sky, hills and trees were reflected in still, blue water. The temperature was increasing to 20°C as the sun beat down, and it would rise further. Carrick Winery in Bannockburn, with still waters in Kawarau River. 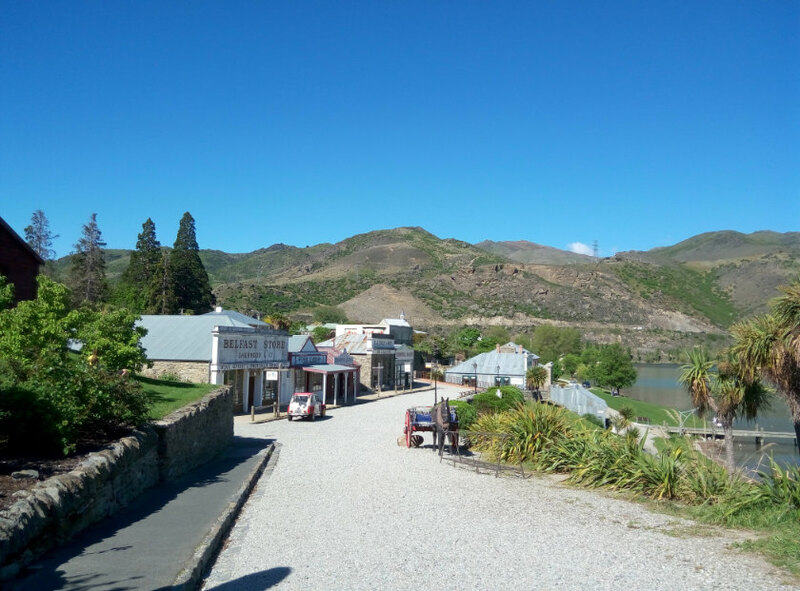 After lunch, we explored Cromwell, which has a historical Heritage Precinct by Lake Dunstan with local art stores and a café. 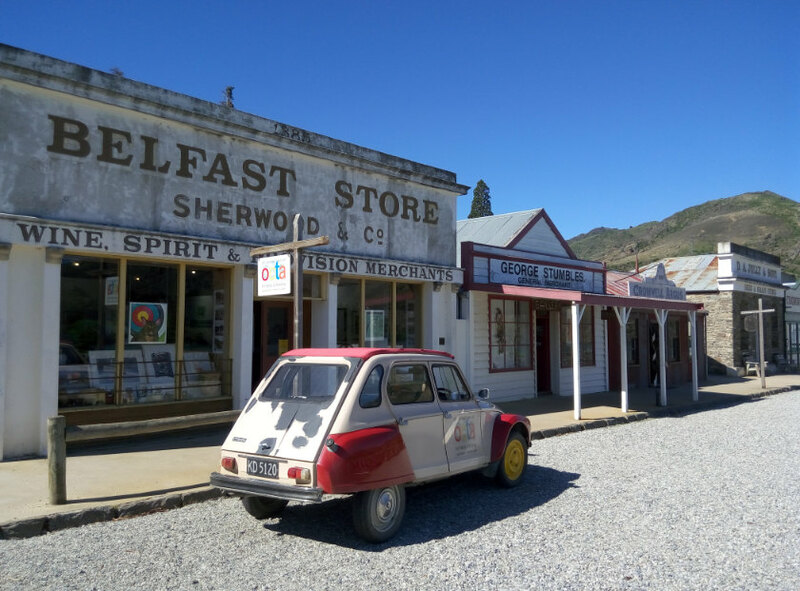 At a distance, the town is meant to evoke 1860s’ gold-rush frontier times, though a Citroën Dyane outside one art store signalled that we hadn’t travelled back in time quite that far. The buildings themselves are authentic, having been relocated when a hydro lake was created. 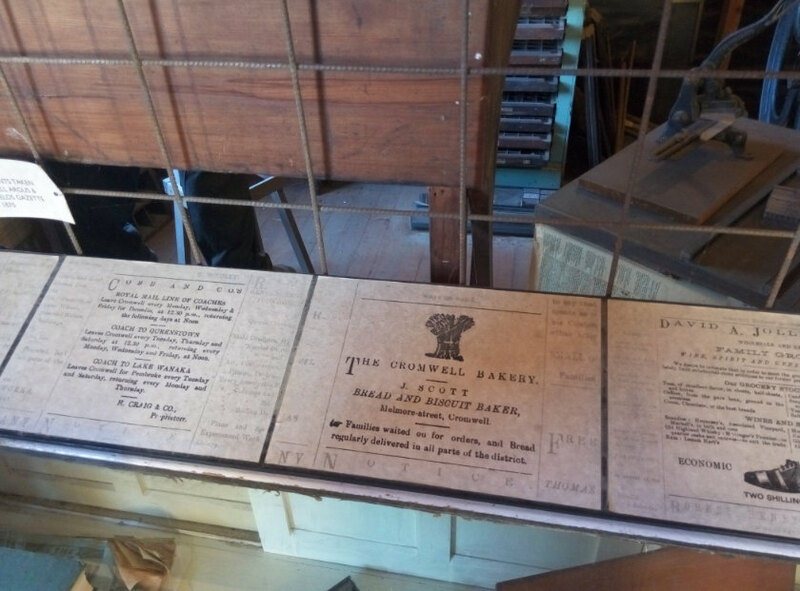 Some of the signage is digitally done, which spoils the authenticity, but the overall effect works. The Cromwell Argus building houses the old press and telephone exchange, and there are documents detailing the activities of Chinese settlers, including New Year celebrations, that date from the gold rush. 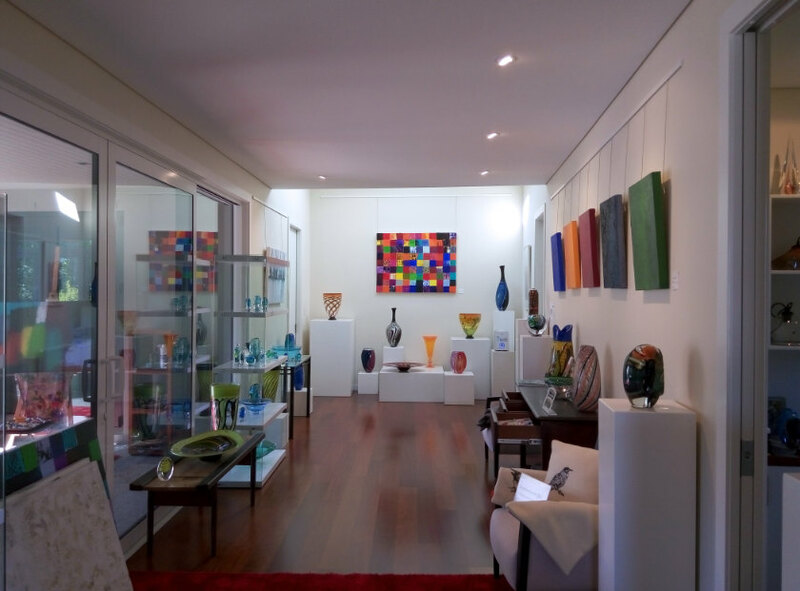 When we drove back to Wanaka, we were surprised to see that the famed Höglund Art Glass had a new gallery along the highway overlooking the Clutha River, with Mt St Bathans behind it. It’s not too far off the main road and well worth the diversion. Their famous sculptures are as memorable as ever, but this house and its Otago setting are more fitting with traditional Swedish glass art. The main room is modernist and bright, offsetting the coloured glass on display. Marie Simberg-Höglund, one half of the couple who set up the company in New Zealand, explained that the Nelson studio and showroom was still open, run by her and husband Ola’s son, Ossian, who had followed in his parents’ footsteps. We asked her about how she wound up in New Zealand, something Lucire didn’t get a chance to do when venturing through the Nelson studio in 2000. She and her husband Ola, who had met at high school, were working in Swaziland on an aid project. Looking to venture further afield, they contacted both the Australian and New Zealand embassies, and the latter responded. They first arrived in 1982, while the company was formally set up in 1984. Simberg-Höglund still returns to Sweden to visit family and was preparing to do so for Christmas, but after three and a half decades in New Zealand, considers herself very much a Kiwi. 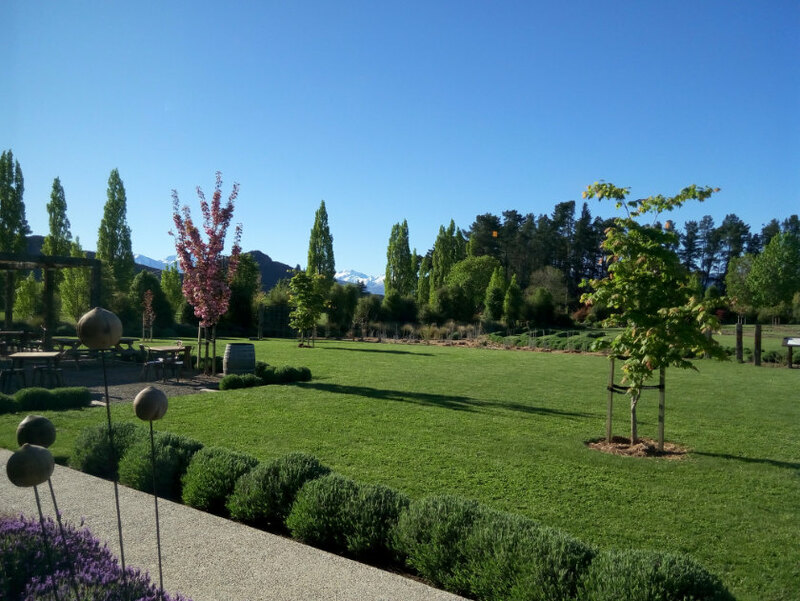 As we neared Wanaka once more, we dropped in to the Wanaka Lavender Farm (36 Morris Road), a 10-acre property with a particularly fragrant shop that sells everything from herbal teas and honey to lavender soaps, perfumes and essential oils. Many of the products are made on-site. There is a charge to visit the farm of a mere NZ$2, but it was free in October, and always free for children under 15. 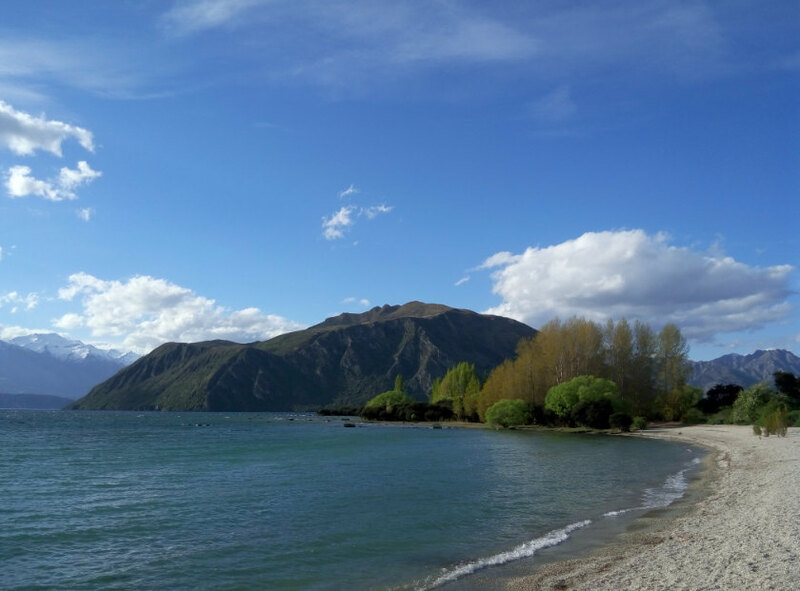 When we departed on day six, we headed to Lake Hawea, where it was blissfully sunny and we got to enjoy the spot as the locals intended. Located east of Lake Wanaka, it is another incredibly scenic and relaxing spot to which more superlatives can be levelled. After living in Wanaka for most of the week, we had nearly run out of adjectives. It was with a very heavy heart we left the area, heading toward the Haast Pass, another difficult road but with none of the altitude problems of the Crown Ranges. Above, from top: Höglund Art Glass near Cromwell. At the Lavender Farm near Wanaka.